The FITT cube isn’t just about fitness, it’s also about fitting into your active lifestyle and your small home, because within its ridiculously small boxy footprint, it fits an entire gym, complete with everything you need to be your fittest self. 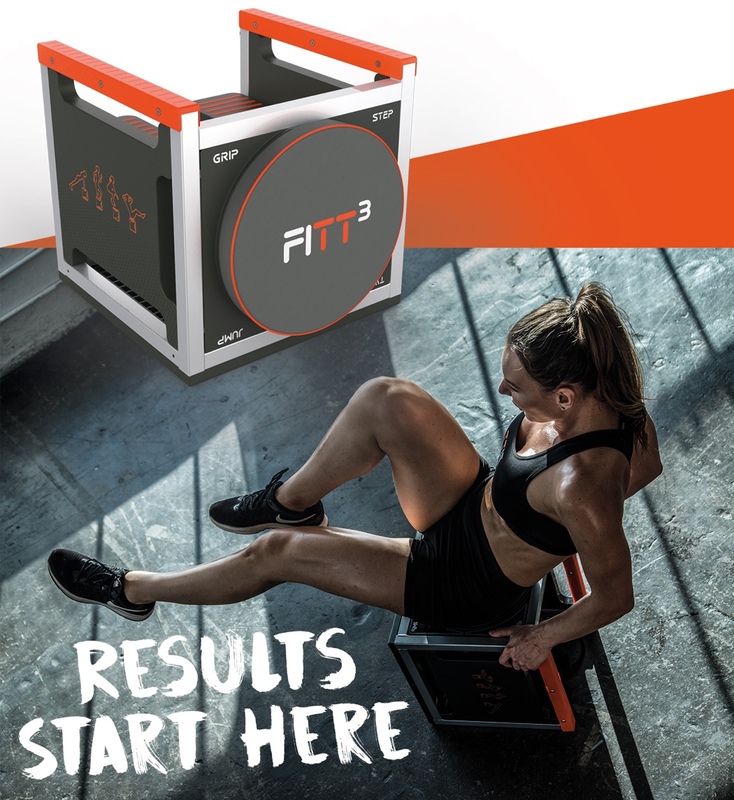 Designed with a layout that cleverly allows you to do as many as 100 exercises, if not more, the FITT cube is perfect for high-intensity power workouts, or strengthening your core, or just regular cardio. Recognizing that most people don’t have the space for gym equipment in their home, or the money for a gym membership, or even the willpower to head to the gym everyday, Josh Hume embarked on a journey to bring the gym to the household. The catch? It had to be the smallest, most exhaustive (and exhausting!) gym ever made. 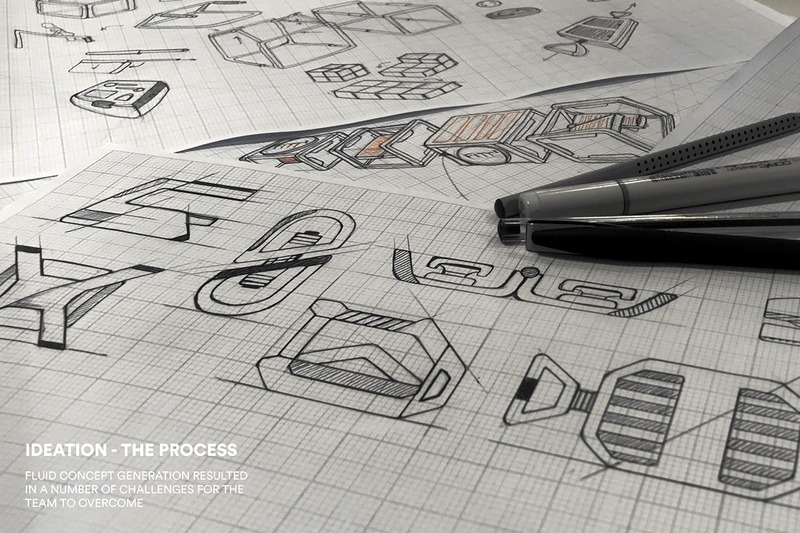 After multiple iterations, the FITT Cube was born. With its 450mm edge dimension, the FITT Cube occupies as much space as a footstool, and comes with a mini-stepper (with its own seven-segment LCD display), a rotating seat, gripping handles, a plyometric platform, and even resistance bands. The FITT cube also comes with a user guide, exercise chart, and a nutrition guide to keep you on top of your fitness game. Arranged in their optimized formation, the FITT can be flipped over to any side and used to work out on, be it anything from stepping exercises, to twisting exercises, to push-ups or lifts, to even plyometric workouts (in a stroke of absolute genius, the soft-grips double up as non-slip friction pads when you flip the FITT over to use the plyometric platform! 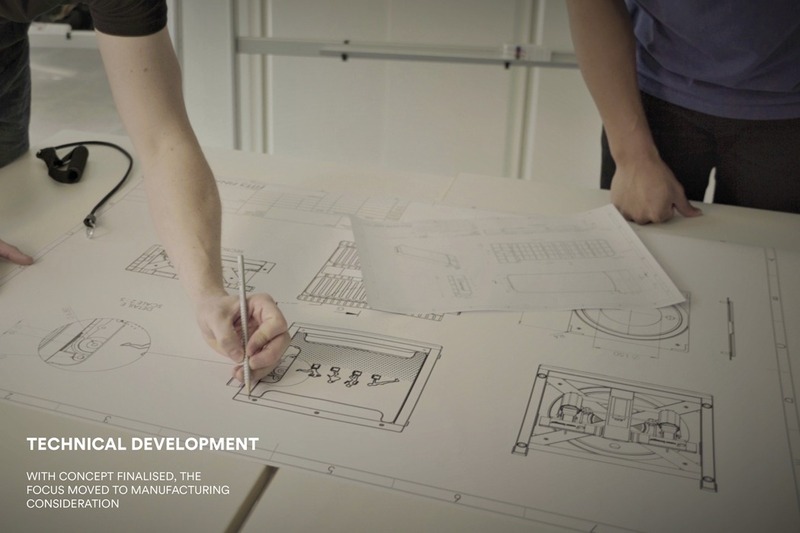 )… the FITT was designed to cater to all. The FITT comes made from gym quality steel, a steel that’s capable of easily taking stress of any kind while not gathering rust accrued from sweat and moisture. 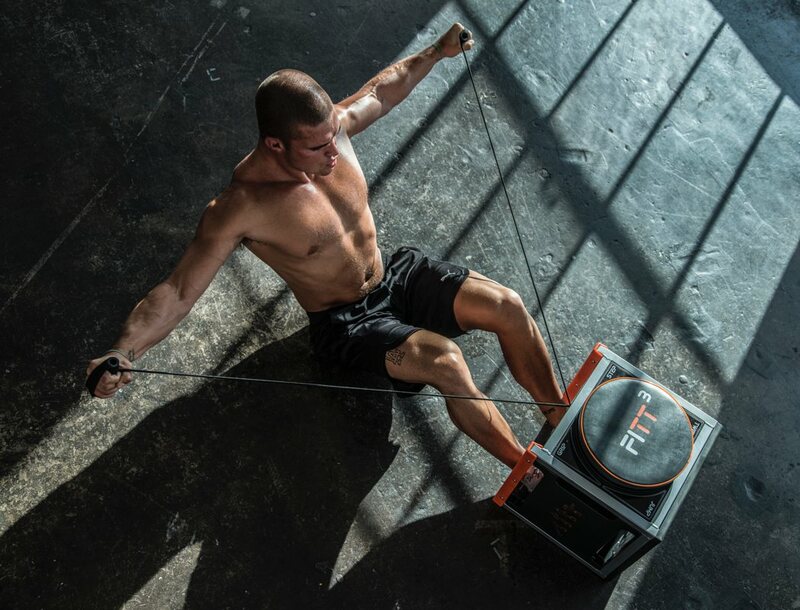 With soft-touch grip handles for your elevated push-ups, a plyometric platform for your power workout, or lifts to a rotating seat for all your core exercises to even a high-quality stepper and display, and a pair of resistance bands, the FITT, over two years worth of iterations and prototypes, fits your entire gym routine into a box that’s literally less than 3 cubic feet. Now if that isn’t out-of-the-box thinking…! 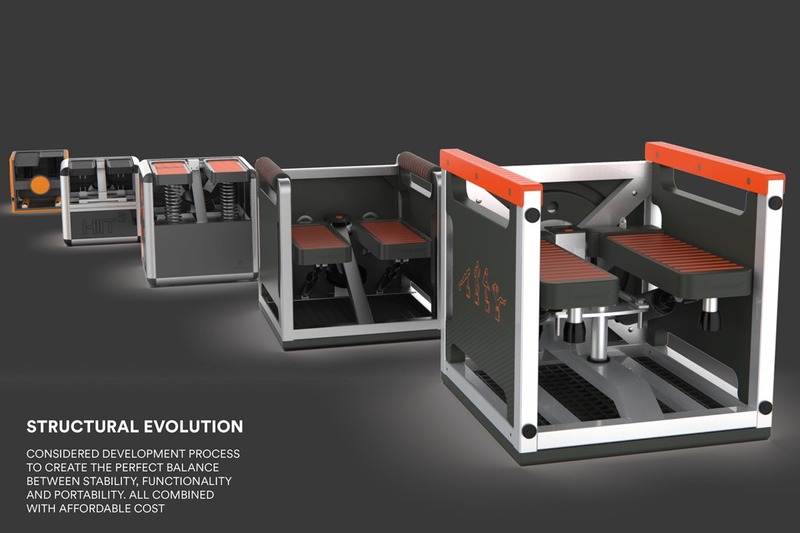 FITT Cube is a patent-pending, transformational fitness tool uniquely designed for multifunctional, total-body workouts. It’s one piece of equipment that maximises all aspects of your fitness and stands up to even the most vigorous of plyometric workouts. And it’s 10 or more pieces of equipment all contained in a 45cm cube. The new shape of fitness. FITT Cube provides unmatched versatility – cardio, strength, flexibility, endurance, and power training all with one machine. This self contained patent-pending multi-gym delivers an effective, total body workout in minimal time and with minimal space requirements. If you ever want to switch up your routine, just flip FITT Cube and you’re targeting a whole new aspect of your fitness. Use the plyometric platform for power workouts. Flip it, and use the padded twisting seat to target your core. Another turn and work your strength with dips, press-ups and lifts. Flip it again, and you can even get your cardio with the built-in mini stepper. There’s nothing you can’t do with FITT Cube. With FITT Cube, there is always something new to challenge you and keep your body guessing. We’ve identified more than 100 individual exercises you can do to target every muscle group in your body. We’re certain you’ll find even more once you get your hands on it! Ready to go. No assembly. No complex attachments.